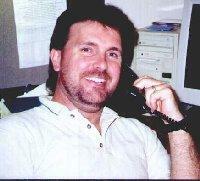 Scott Esser has over 20 years experience and is a great singer along with being a great DJ. Scott has performed for thousands of satisfied and happy clients during his carrer as a DJ. Over 25,000 songs to choose from. Jump around with hip-hop or line dance with some country. No matter what your flavor is, you choose the songs you want played, and the songs you don't. The show wouldn't be complete without a friendly DJ to play music, take requests, and maybe even run a few party or wedding games. Choose from a light show, mirror ball, and smoke effects. Karaoke can be very fun, especially around friends and family. No matter the occasion, you can't go wrong when also let people sing. 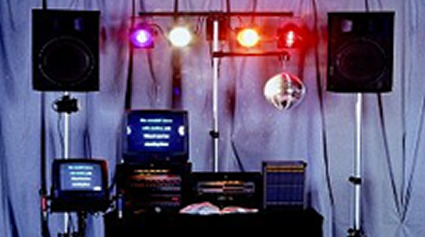 Over 7,500 karaoke songs to choose from, all of which include music and lyrics that flash across the screen. With a wireless microphone always included, you and your friends can sing all at the same time with our three microphones. A fun party is only best with a fun karaoke host. He or she will set-up, run, and clean up the show, organize karaoke requests, and sing a few tunes to show the crowd how it's done. 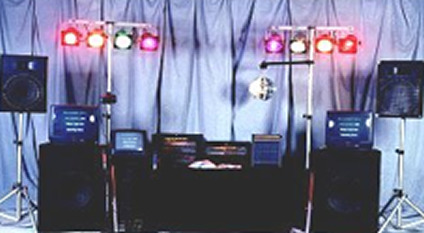 Choose from adding a light show, mirror ball, smoke effects, or even tape recording of singers. Not everyone a singer? Combo your karaoke show with a DJ addition. The first half DJ, the second half karaoke, or mix it up the whole evening.